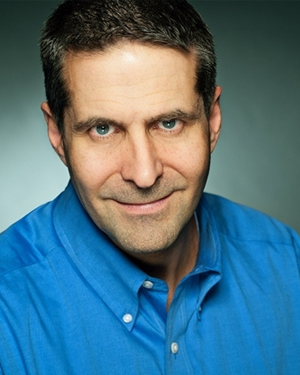 Sam Richter is an internationally recognized expert on sales intelligence and online reputation management. His award-winning experience includes building innovative programs for start-up companies and some of the world’s most famous brands. Sam is founder and CEO of SBR Worldwide/Know More! and the Social Selling Institute. Through his Know More! business improvement program, Sam has trained leading organizations and entertained tens of thousands of persons around the world to rave reviews. Sam’s programs promise to be the highest-content, most take-home-value program attendees have ever experienced. Since 2010, Sam has annually been named by InsideView as one of the Top 25 Most Influential People in Sales, and he was also named as one of the Top Chief Marketing Officers on Twitter. Sam has been featured in thousands of television and radio programs and national and online publications. For more than six years, Sam was president of a not-for-profit business library, where he led the transformation of an eighty-five-year-old private, non-profit business research organization into a nationally renowned institution serving entrepreneurs and small businesses via cutting edge online resources. Sam also spent more than eighteen years in the advertising, public relations, and e-commerce/e-marketing industry owning his own firm and working for internationally recognized organizations as a creative director, group director, and marketing director. Sam has created programs for companies including Microsoft, Coca-Cola, Major League Baseball, Northwest Airlines (Delta), Kraft/Nabisco, Polaris Industries, National Geographic, 3M, Brunswick, and other large and small firms. Sam has won regional, national and international awards including Best of Show and Gold Awards at numerous sales and marketing competitions, Webby Awards, and a Gold Award at the International Film Festival. He’s also won a Retail Vision Award and a Codie Award “the “Oscars” of the software industry” for Best E-commerce Software. He is a member of the Business Journal’s “Forty Under 40” list honoring the top Minnesota business leaders under the age of forty. He also was a finalist for Inc. Magazine’s Entrepreneur of the Year and he’s one of the more highly recommended persons on LinkedIn. Sam received his B.A. from the University of Minnesota School of Journalism and Mass Communication and was twice named Scholastic All-American while also a four-year player and a letter winner on the University of Minnesota varsity football team. He also has a graduate certificate in Executive Leadership and another in Corporate Boards of Director ethical leadership. Besides his speaking work, Sam is SVP/Chief Marketing Officer at ActiFi, a software and solutions firm serving the financial services industry. He lives in Minnetonka, Minnesota with his wife and two children, serves on the board of a number of for-profit companies, and volunteers his time to numerous non-profit organizations.